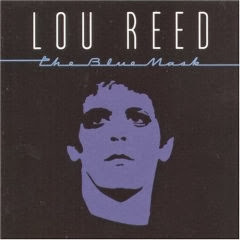 The Blue Mask – As far as I am concerned, this is the best song Lou ever recorded in a studio. The opening chords dramatically grab your attention, the feedback sets the tone, and when it hits its groove and Lou starts singing – pleading, admonishing, hollering – this thing becomes a Rock stomp. Lou confronts his pretensions, admits his faults, and says what we've all been thinking all along: “Cut the stallion at his mount and stuff it in his mouth!” From there Quine and Lou engage in a guitar battle to the end, and we are all the winners for it. Waves of Fear – Another thundering, chord-driven song. I gather this is a song about withdrawal, something Lou surely had some experience with, but it can also easily be intellectually warped into a song about a man dealing with that moment of existential terror when he confronts a meaningless universe. The guitar work at the end, deranged and discordant, is perfect. Underneath The Bottle – More melodic than the previous two songs I've mentioned, this is another song about dependence. The famous story is that Lou tried to kick his habit through drinking. This one talks about the destruction inherent in replacing one addiction with another. “Things are never good, things go from bad to weird” is a casual lyric, at least for a guy like Lou, but there it is, once you hear it, stuck in your brain for the rest of your life.